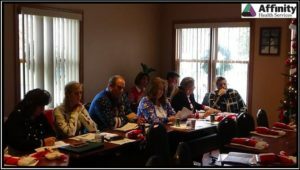 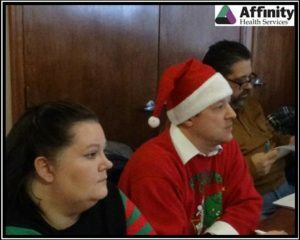 Affinity Health Services team was helping to spread holiday cheer at an affiliate senior community on Sunday, December 18th. 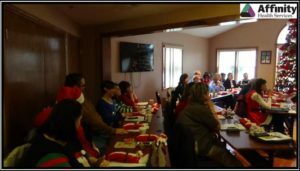 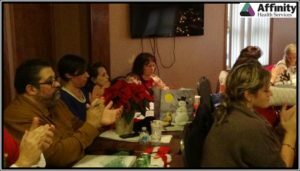 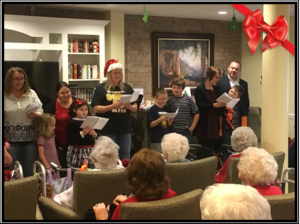 The holiday event granted an occasion for residents, family members and staff to enjoy the holiday season and spending quality time together. 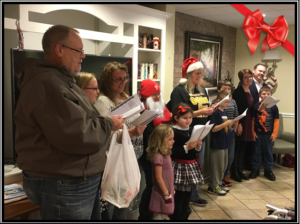 Special entertainment included members of a local chorus to lead a sing-a-long with some holiday favorites.